It’s definitely starting to feel a lot like winter so we thought we would share some tips on how to protect your skin now the weather is really cooling down. Some of you will live in areas that get very cold (maybe it even snows) so we are going to talk today about what you can do to protect your skin from the harsh cold and dryness that winter can bring. 1. Wash your face in lukewarm water - We know when it’s cold you want to get into a very hot shower or bath to warm up but washing your face in hot water can strip your skin of its natural oils, so when you wash your face just use water that is only a little warm. This will help protect your skin’s natural oils. 2. Be careful with your moisturiser - Lots of moisturisers contain parabens, which can dry your skin out, especially over winter. You want a hydrating moisturiser that will hold in moisture for longer and protect the skin from drying out. The Proactiv Complexion Perfecting Hydrator contains no parabens and goes on as a gel, but hydrates like a cream, protecting you for longer. 3. Moisturise while your skin is still damp - Adding moisturiser to damp skin, instead of fully drying it first, helps hold in the skin’s natural moisture, which is essential in cold, dry climates! 4. Humidify - If you live somewhere where the heating is on most of the winter you should consider investing in a humidifier, especially if you are sleeping with the heat on. Home heating dries out the skin, so adding moisture to the air will do wonders for your skin over winter. 5. Exfoliate - We are all guilty of going for the ‘out of sight, out of mind’ attitude to our skin over winter but it’s important to remember to exfoliate and remove those dry, dead skin cells to keep our skin healthy. The Proactiv Cleansing Body Bar can be used in the shower to exfoliate all year round. 6. Protect your skin - If you spend a lot of time outside in winter, or if you are participating in winter sports such as skiing or snowboarding it is essential you protect your skin by covering up. Wear gloves, scarves and hats to protect your skin from the elements! 7. Moisturise overnight - Don’t forget to take care of those dryer areas of skin like the elbows, hands, feet, knees etc by using a thick moisturiser overnight to help rehydrate these areas. 8. Use Sunscreen - You might not think you still need it in winter but you do- especially if you are going to the snow. You can get terribly sunburnt in winter from the sun reflecting off the snow so make sure you cover up! 9. Drink water - It’s tempting in winter to drink warm drinks but your skin still needs water. If you want it warm you can drink hot water and lemon juice, it’s hydrating, great for your digestive system and will hydrate your skin. 10. Create your own face masks - Create natural face masks using products such as honey, buttermilk, avocado, yogurt, olive and jojoba oils, almond oil, bananas and aloe. They will help rehydrate and refresh your skin naturally! 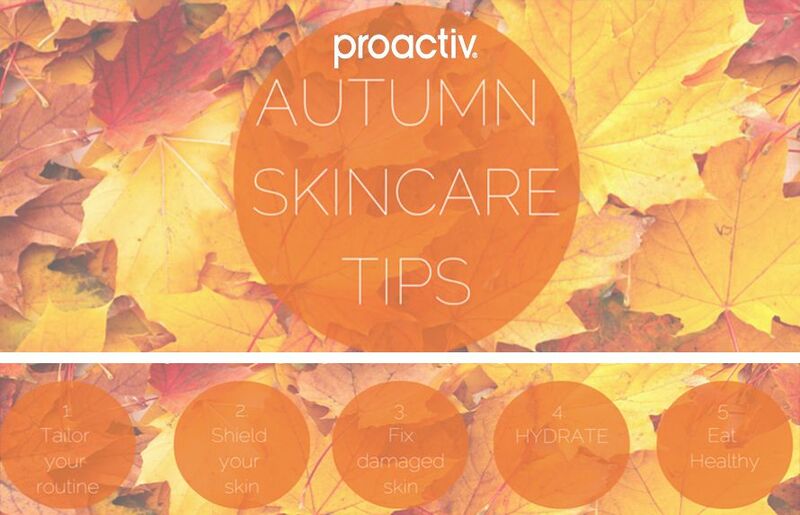 Now that you are all prepared for winter next week we will be talking about how Proactiv isn’t just for teenagers and how older women’s skin needs caring for too. Until then, have a great week!